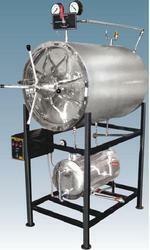 Our product range includes a wide range of horizontal autoclaves and vertical autoclaves. Backed by our flourishing business processes, we are able to manufacture, export and supply a flawless quality range of Vertical Autoclaves. 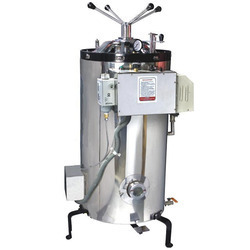 These vertical autoclaves are completely examined by our quality experts for ensuring its proper functioning. The range of vertical autoclaves is known for its high performance low maintenance in front of our customers. We are offering these vertical autoclaves at very economical prices along with various specifications customization options.